Both partners of the Firm have significant Municipal Law experience. Bruce is currently the City Attorney for Tecumseh, Nebraska and the Village Attorney for Elk Creek, Nebraska. Bruce was responsible for setting up the City's Economic Development Plan and the City's Sales Tax which funds the Plan. 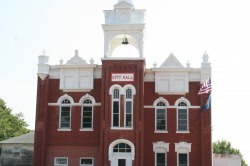 Bruce has also helped the City of Tecumseh, Nebraska through several Tax Increment Financing projects which have brought several new businesses to Tecumseh.